Most kids enjoy a craft project from time to time but in a pinch it may be hard to come up with materials to keep them busy. That is where recycled crafts are so handy to know about and have on file. Chances are you will have the supplies needed to complete a project right in your house. Or, you can quickly empty a can of soup or a roll of toilet paper and wa-laa! .....instant craft supply! 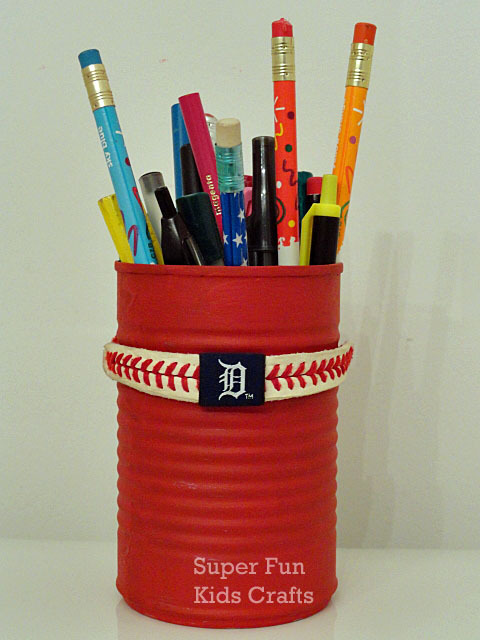 I have featured quite a few recycled crafts for kids here and want to highlight those posts so you have it all in one spot for handy reference. Because who knows when that rainy day will strike and you will be in need of a craft project...FAST! If you don't already, you might want to start saving those toilet paper rolls. There are so many cute things that you can do with them. Click on the link to see the full list. Cans are another one of those items that most everyone has. See all the ways they can be turned into fun projects and keep your kids occupied .....hopefully until the rain stops! 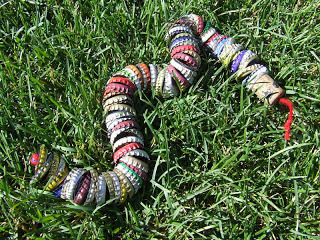 I just love this bottle cap snake which looks very time consuming....yay! Check out this and the other bottle cap crafts that I know your kids are going to love. Boxes and kids go together like peanut butter and jelly. If you ever watch a little kid with a new package, it seems they enjoy the box it came in almost more than the actual gift. Things don't change too much as they get older. 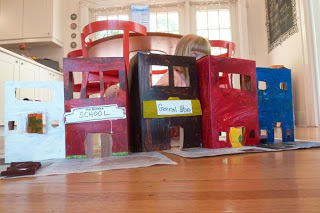 Taking a box, like a cereal box, and creating something like their own village is huge fun. This idea and more can be done with cereal boxes or any other type of boxes you have laying around. I also have a whole section dedicated to Shoe Box Crafts. And finally, if you save buttons, crafts like this button tree only take buttons and branches. If you don't save buttons, look for old clothes that may not be in good enough condition to donate and tear off those buttons!